Encased within a water resistant rubber handle, the Bear Grylls Survival Flashlight is compact and powerful. 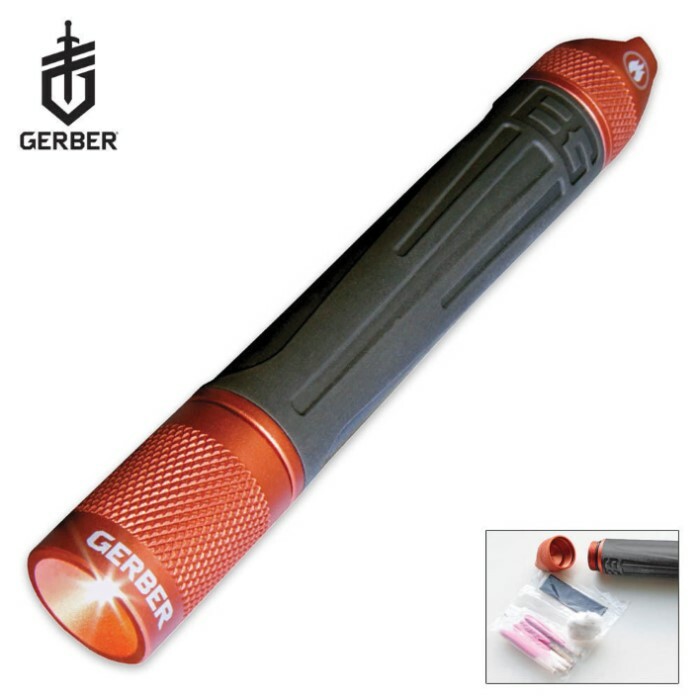 Made for any type of outdoor excursion, it's a rugged flashlight designed with a survival safety net. In addition to 36 hours of burn time, the interior capsule provides ample storage for the included waterproof matches and tinder. 6 in. overall and just 3.89 oz. Uses standard AA batteries. 24 Lumens on High.